Grant Imahara’s home in Hollywood is a veritable workshop. The robotics engineer and star of MythBusters has all manner of toys in his garage. “I have a lathe, a 3D printer, a vacuformer. It’s like a mini mad scientist workshop,” he says. And he has put them to good use. Recently he created a steampunk ring-bearing robot for his friends’ wedding. Imahara has developed a knack for tinkering and tailoring since he first took apart the remote control at home when he was a kid. After studying electrical engineering at university, he worked for film companies Lucasfilm and Industrial Lights and Magic before joining the team as a host on one of the world’s most popular science entertainment shows MythBusters. This year, however, he and his co-stars Tory Belleci and Jessi Combs say good-bye to the show as it returns to its original format with hosts Jamie Hyneman and Adam Savage. Imahara isn’t letting his engine idle however. Already the offers are popping up. As well as attending events such as the Supanova Pop Culture Expo in Australia, he has a number of projects on the cards. 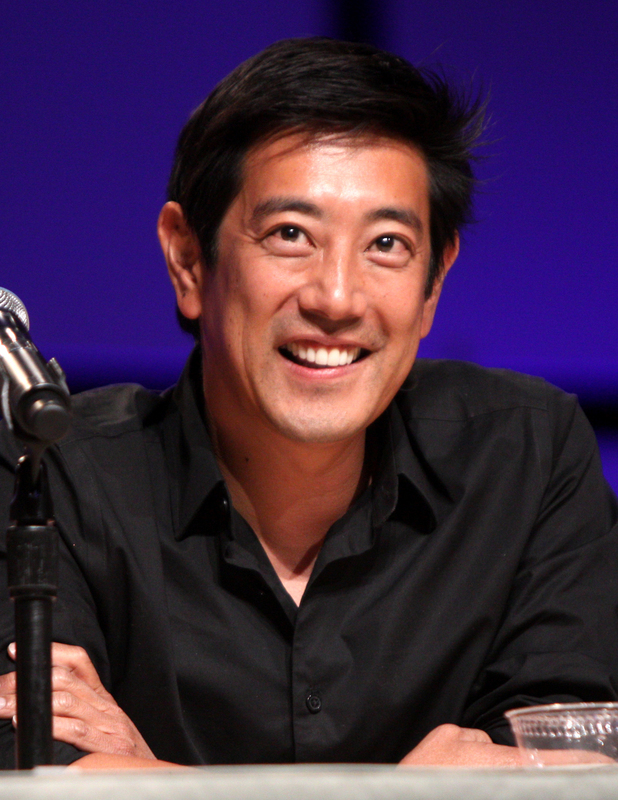 Imahara likens it to breaking up with someone on Facebook. Suddenly, all these other people are asking you out on dates. Imahara already has a strong CV. His geek credentials are solid. His tinkering techniques have been put to good use on such films as The Lost World: Jurassic Park, Galaxy Quest, AI: Artificial Intelligence, Terminator 3: Rise of the Machines, The Matrix Reloaded and the Star Wars prequels. For Star Wars he updated R2-D2 giving him a makeover for the prequel trilogy. A Star Trek fan, he has also stepped onto the bridge of the Enterprise, playing roles in web series Star Trek Renegades and Star Trek Continues. In Renegades he plays the assistant to popular character Admiral Chekov, played by Walter Koenig. In Star Trek Continues he fills the impressive shoes of Sulu, originally played by George Takei. “It’s like my childhood dreams come true,” Imahara says. Imahara, who grew up in Los Angeles – his mum was a chief financial officer and his father was a motorcycle mechanic and carpenter – says he was always “that kid”, playing with Legos, building things and taking things apart to see how they worked. To be able to do that for a living, and to inspire other young kids in the process, has been a real thrill. While he’s sad to wave goodbye to the MythBusters team, he can’t wait to see what happens next. Is there anything left on his bucket list? This entry was posted in Adventure, Brisbane, Geeks, Television. Bookmark the permalink.